Replacing an HVAC unit? Adding new vents into your roof? Let Cole keep your roof warranty intact and the water out. Engage with us early in the process so we can help you cost effectively make these new investments work with your existing roof system. 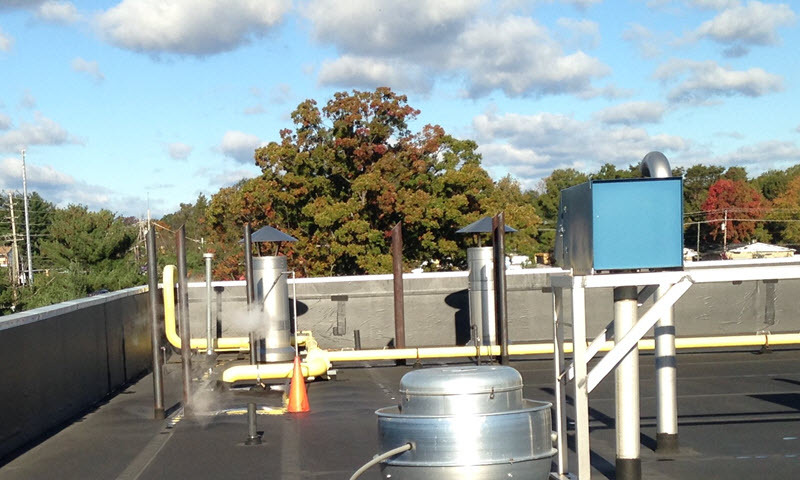 We want to ensure you avoid the disappointment of a leak occurring once a new piece of equipment is installed on your roof. If it is 1 curb or 100, Cole Roofing will make sure the flashing is installed to last. Cole Roofing has collaborated with most of the reputable mechanical contractors in the area. If you have picked a mechanical contractor please tell them to call Cole Roofing so you can be sure the job is done correctly the first time. If you do not have a current relationship with a mechanical contractor, not to worry, we can manage the whole project for you. Just give us a call. For a century Cole Roofing has built a reputation for quality workmanship. Cole Roofing is committed to the delivery of client focused projects on time, safely constructed and on budget. Copyright 2018 Cole Roofing. Site Strategy WebConnection.